Prime Minister Tuilaepa Dr. Sa’ilele Malielegaoi has welcomed the registration of Samoa First Political Party. 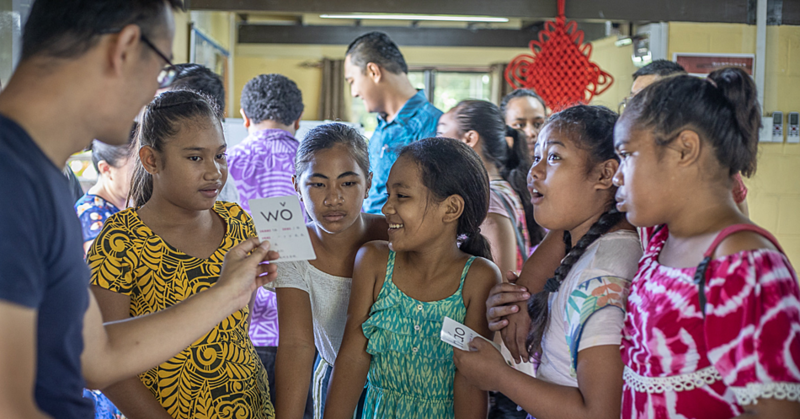 “When we talk about the first in Samoa, that’s the H.R.P.P. You see when it comes to protecting Samoa’s traditions, culture as well as our customary lands, the H.R.P.P. is number one,” Tuilaepa said. 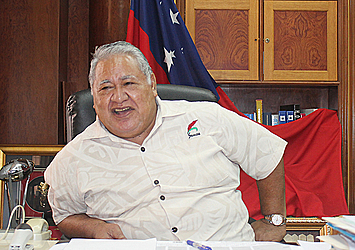 Tuilaepa made the point during his weekly media conference yesterday where he gave his blessings to the party. He said the establishment of the new party could only strengthen democracy in Samoa. Asked if he was concerned that the new party could be a threat given they have close to a hundred members already and growing, Tuilaepa said no. But Tuilaepa was not impressed by the name. “The first point for any new party is for the name to be believable. There is New Zealand First, Fiji First so it seems to me that these guys have copied them. The leader of the H.R.P.P. added that it’s misleading when they refer to themselves as Samoa First. Told that the party’s goal is to put Samoa first, Tuilaepa said that’s what all parties want. 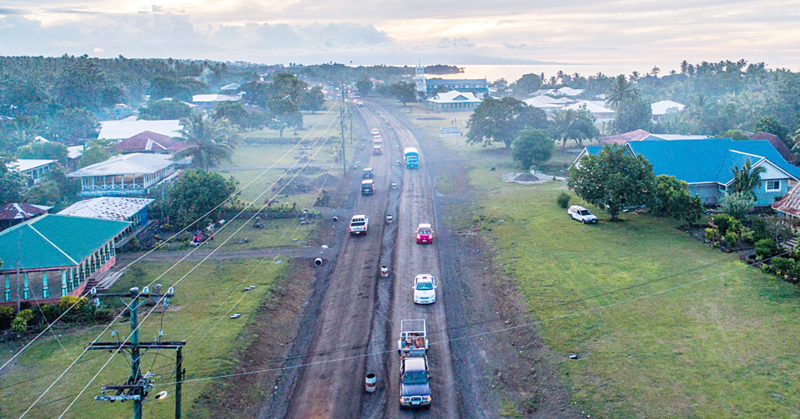 He reminded that there were eight other political parties before this newest party, pointing to S.D.U.P., S.N.D.P., Christian Party, Tautua Party, Toalepai Toeolesulusulu’s party, Samoa United Party and other parties. Tuilaepa reminded that the H.R.P.P. has been governing for 39 years and they have done many firsts for Samoa and they continue to put Samoans first. The registration of the new political party was confirmed by the Electoral Commissioner, Faimalo Matthew Lemisio, earlier this week. The Party’s Secretary is Feagaima’alii Bruce To’omalatai. Repeated attempts to get a comment from Feagaima’alii were unsuccessful. Prominent lawyer, Unasa Iuni Sapolu, is a member. 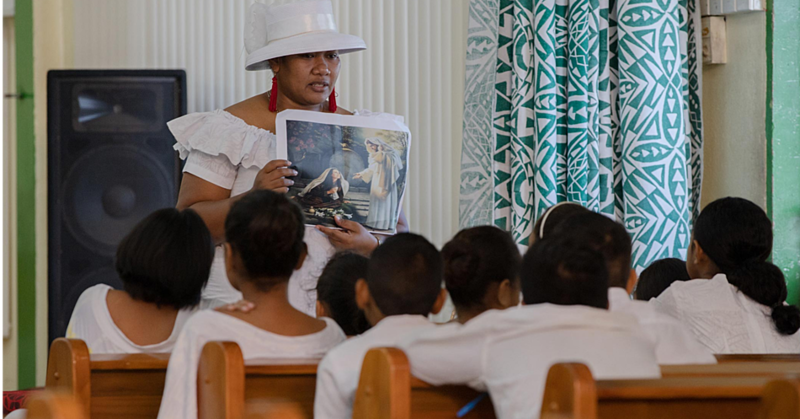 “Yes there is a new political party called Samoa First Political Party or Muamua Samoa, Vaega Faaupufai,” she said in an email to the Samoa Observer earlier this week. “This is a new political party that has been formed, prompted by our beloved people in the villages as they become informed of the law and their rights, they force the move which is now the new party.